Don't miss the latest news. Subscribe to Polynom Newsletter! Thank you! Your subscription is identified! Cryptocurrencies offer a second-to-none hedge against the risks associated with the continuous printing of fiat currencies which often leads to loss of value and purchasing power. Traditional risky assets are likely to serve as a poor hedge as valuations are expensive and global leverage is at an all-time high. Cryptocurrencies provide excellent trading opportunities due to the guarantee of volatility in the early stages. 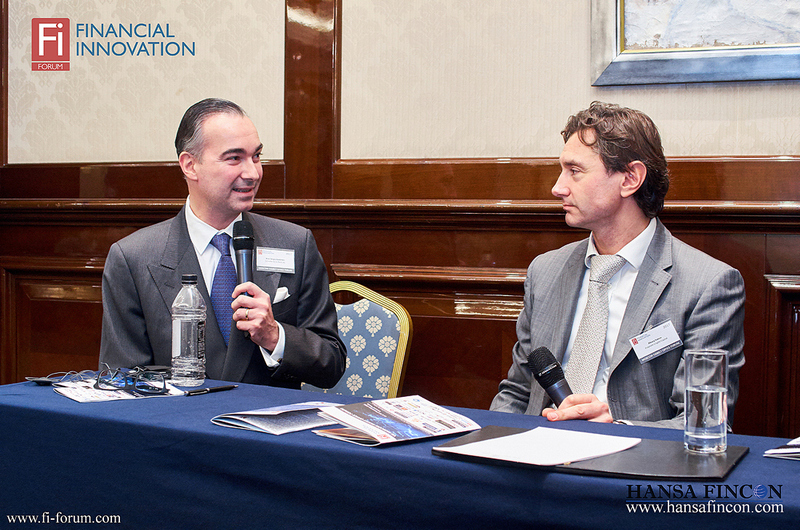 We help investors to effectively navigate and guide their portfolio through the confusion and disbelief. "Unknown Ethereum competitor Cardano Cryptocurrency will double this year. It's up over 500% since its ICO in late 2017. One coin goes for just $0.77, " - Alexey Ivanov stated for Cardano growth. "We have no reason to hold stable coin as an investment. We can use fiat on our exchanges, but for trading, it is better to use crypto dollars instead of fiat dollars because it is faster and cheaper. You're talking about speed of minutes versus days for fiat." - Alexey Ivanov commented for Forbes. "Smart policies can alleviate the short-term pain of technological disruption and pave the way for long-term gain. To maximize benefits, adapt policies on digital data and international taxation, labor policies and inequality, and education and competition to emerging realities." Polynom Crypto Investments is a digital assets umbrella investment fund focused on Blockchain technology type assets intend to provide institutional and qualified investors with simple and cost-effective means of gaining investment benefits similar to those of directly holding cryptocoins, with minimal infrastructure and credit risks. The logistics of accepting, transferring and safekeeping of cryptocoins will be dealt with by the Fund, independent Administrator and Custodian. Polynom seeks to provide institutional investors with an excellent diversification mechanism to their current portfolios, with correlations running most of the time negative to zero. The investment objective of this fund is to achieve long-term capital growth through investments, holding substantially all its assets in cryptocurrencies such as bitcoin and Ethereum. The fund intends to invest primarily in long-term holdings in the top 10 cryptocurrencies based on the Black-Litterman model, i.e., using market weights subjected to portfolio managers' preferences. Only eligible currencies can enter the selection process (currencies based on blockchain technology). The portfolio should be limited to currencies that are easily traded on the exchange on a daily basis. Average daily turnover in the previous six months should not be below $1 million USD. The fund will utilize algorithmic trading and seek arbitrage opportunities, as price discovery often remains obscure during initial stages of coin trading. The principle of classical arbitrage is based on reaping profits from price differences on different exchanges. Prices on the exchanges differ due to the natural effect of decentralization and, for now, the weak development of the market, primarily from a technical point of view, i.e., exchanges are still operating on slow-enough web technologies. Since profit is often obtained from the inefficiencies of the system of execution and aggregation of quotes, classical arbitrage strategies are considered almost win-win. Statistical arbitration is very different from classic arbitrage. In fact, statistical arbitration has much more in common with conventional trading strategies, based on the calculation of probability. The main task is to reveal the patterns of price movements through different instruments and use them in trade. The fund's investment objective will be to achieve long-term capital growth by seeking to earn strong risk-adjusted returns from market dislocations, complex situations and distressed assets. The special-situations strategy is dynamic and able to deploy capital in multiple ways to capture opportunities arising from market dislocation. The fund's investment objective will be to achieve capital growth from participating in the emerging crypto-bond market. The concept of crypto bonds allows users to lend money while having a low variation of debt in a traditional currency. In the long run, it would help more people around the world access more competitive investment opportunities. From a company perspective, it's a unique ability to borrow with lower interest rates. Expert and consultant in blockchain and cryptocurrencies in Europe. Developer of Smart Contracts based on local blockchain technologies. CEO Alexey Ivanov delivered a presentation during the International Investment Conference CIS/CEE by Maximus Capital in Riga and presented Polynom Crypto Capital to the public. His speech was dedicated to the future of asset management and the introduction of blockchain assets to the modern investor's portfolio. 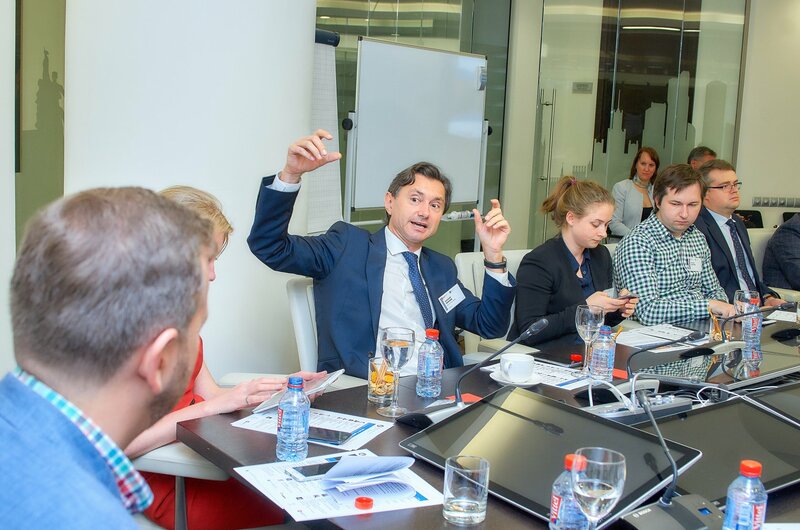 Polynom Crypto Capital CEO Mr. Alexey Ivanov took part in the annual Moscow Stock Exchange Director's Club discussion. 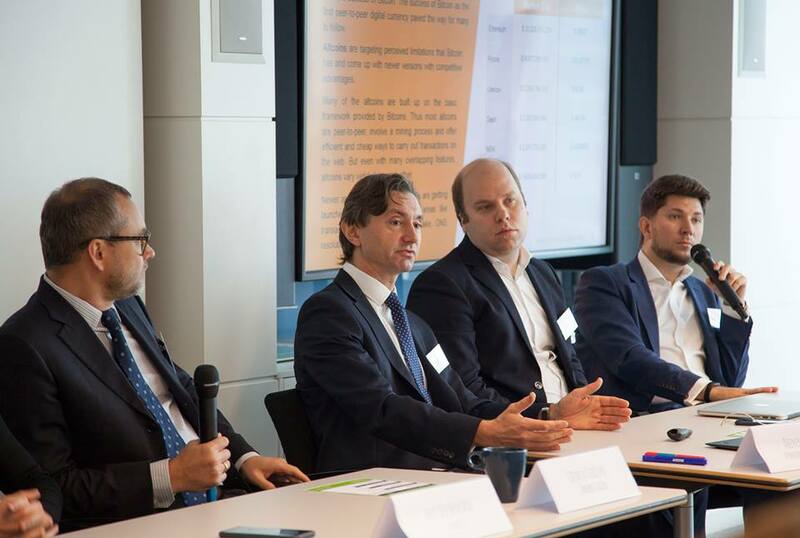 17 representatives of different segments of the financial market come together every year to discuss the biggest trends on the market right now during a business breakfast. Alexey spoke a lot about the development of the cryptocurrency market, and introduced PLCC's ideas to the club. The annual NAIMA/KPMG Alternative Investments Forum is targeted at local family offices and alternative investments funds (private equity funds, real estate funds, hedge funds, venture capital funds and similar allocators) looking to diversify their portfolio into alternative asset classes that are de-correlated from broad market trends and offer a superior risk-reward ratio. 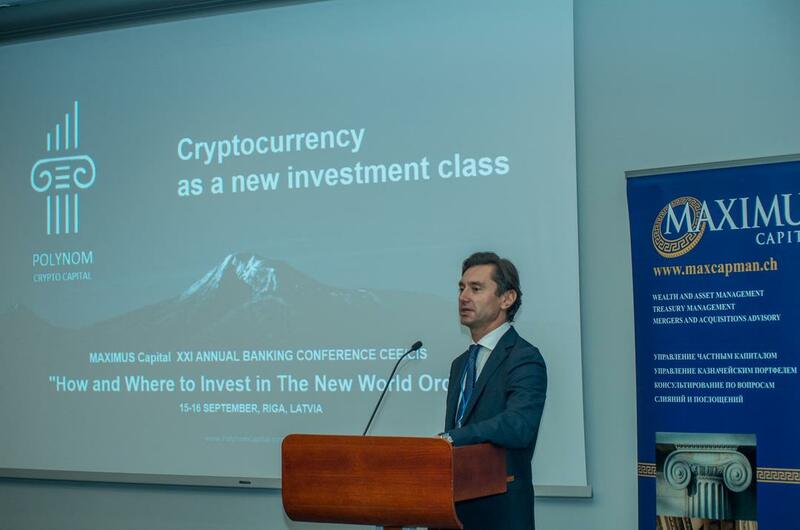 Alexey Ivanov provided the NAIMA audience with comprehensive research about cryptocurrencies, shared his vision on blockchain, BTC and alt coins future and discussed the most hype questions among KPMG experts. The materials on this website are for illustration and discussion purposes only and do not constitute an offering. An offering may be made only by delivery of a confidential offering memorandum to appropriate investors. Past performance is no guarantee of future results. Under no circumstances should the content of this website be used or considered as an offer to sell or a solicitation of an offer to buy securities (including any interest in any investment fund). Any such offer or solicitation can and will be made only by means of the appropriate offering materials, only in jurisdictions in which such an offer would be lawful and only to individuals who meet the investor suitability and sophistication requirements set forth in such materials. Access to such materials is similarly limited to individuals who meet the applicable investor suitability and sophistication requirements. The content of the investor area of this website is strictly confidential, is restricted to persons who have received a unique username and password, and is subject to certain limitations, including, but not limited to, limitations on disclosure and use.